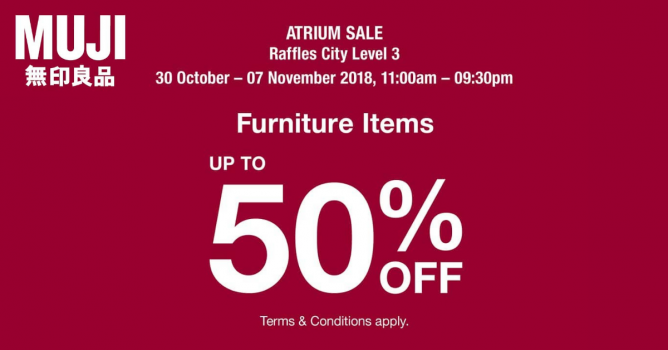 Don't miss this chance to grab great deals for your furnishing needs! 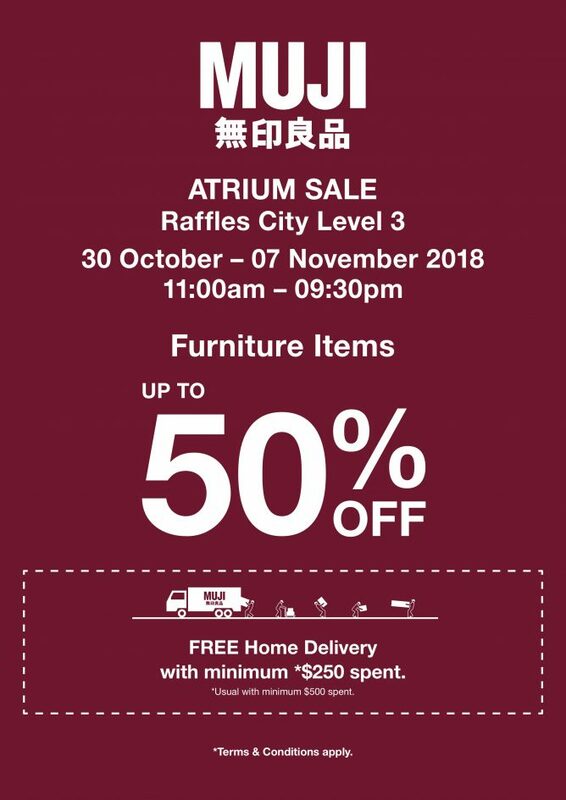 MUJI Atrium sale starts from 30 October till 7 November! Come by early, while stocks last! Get free home delivery with minimum $250 spent. Terms and conditions apply. Previous: Suntec Singapore: The Tech Show 2018 with Great Offers on Tech Gadgets, TVs, Notebooks, Tablets, Desktops, Gaming Products & More!